Een boek voor mensen die erover denken hun droom tot werkelijkheid te maken. Jan en Tieke hebben de kans gegrepen door, onder de rook van Amsterdam, een wijngaard en zorgboerderij van de grond af aan op te bouwen. Hun lotgevallen worden in dit boek in geuren en kleuren uit de doeken gedaan. Meer info!!! First and foremost I welcome you to this site. You're at the threshold of a new era; the era of wine. Beyond a doubt you're on the right track, so enjoy. 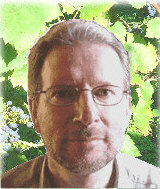 As a wine lover, I am very passionate and interested in everything concerning wine and all aspects of it. A few years ago my wife's grandfather gave me some old - bottles - of wine because he didn't drink it anymore. From that time on I have tasted many wines and my passion for wine has grown over the years. In past years I have purchased different wines from wineriess all over the world and have tasted the differences in grapes, grape-varieties, wine making and preparation. Over the years our wine cellar has grown, and there now rest over 200 bottles of wonderful wine. Over the next four years I will always have a wine available to enjoy. What I have experienced these past years is that you do not have to pay high prices for quality wines. Many wines are available from all over the world at local wine shops for prices between € 5,- and € 9,-. These wine shops will give you a warranty of quality and in with a good selection, the wine can mature perfectly. I discovered that not only France creates the best wines but in the whole World there are so many passioned wine makers creating the finest Gold on the Globe; enjoyed by thousands of different people with only one passion.......Wine !!. By attending wine-meetings and visiting wine-shops, your knowledge of wine will grow to higher levels. I also have learned by observation, and listening to others and naturally by observing the behavior of the "adult wine-lover". Consider that "pride goeth before a fall", so be yourself. There are many books on this subject available in bookstores and you can also borrow these books at your local library. The books I enjoy most were written by Hubrecht Duijker. He explains wine in a professional way with bits and pieces of humor and taste. The content of this website comprises wine (alcohol containing). Depending on local laws, information inside this web-site is only ment for those who are permitted by age to enjoy wine.